Aaron Rodgers is aggravating if he’s whooping your team, but for everyone else, he’s one of the best parts of the NFL. The Packers quarterback creates highlights within highlights, and today against the Jaguars, he did it again. Rodgers faced a third-and-10 situation with less than 30 seconds before halftime. 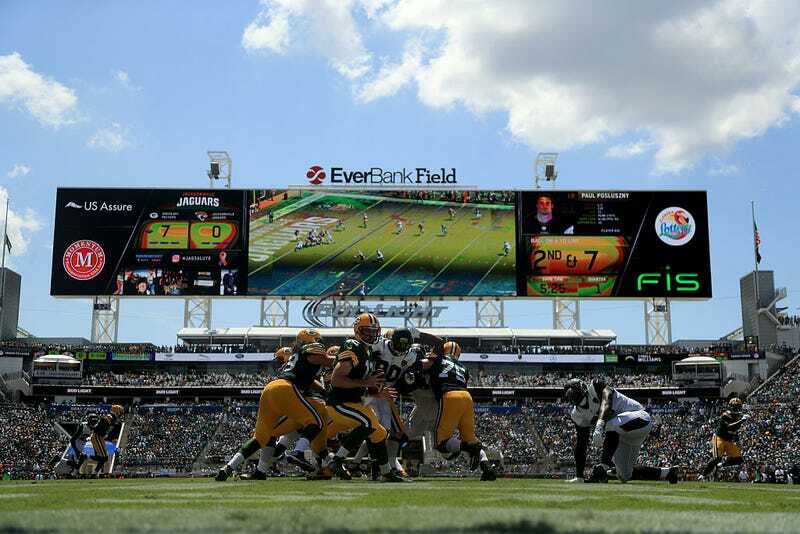 The shape of the pocket required Rodgers to step up as cornerback Jalen Ramsey attached himself to the QB, but Rodgers had the arm strength to fling a catchable ball towards the end zone as he was taken to the ground. Adams reeled in the pass for a 21-17 lead. Adams deserves some of the credit for an excellent catch, but man, what a throw. Rodgers can find himself in frenzied situations and still remain composed, evade the blitz, and launch an ill-advised pass that somehow works because of the cannon attached to his shoulder and the fact that he is, well, Aaron Rodgers. This outcome would seem unfair in video games, and yet, here he is, making another defense look like a bunch of helpless chumps.